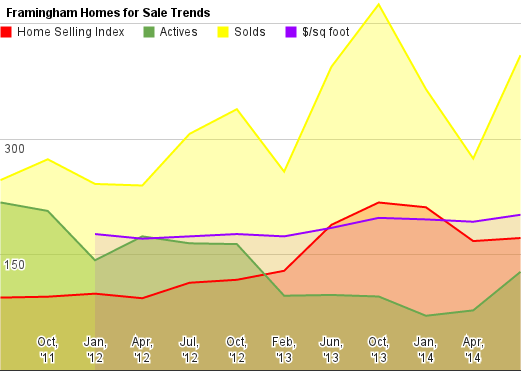 Framingham transactions are trending down - but only slightly. With no inventory coming on, the HSI for sellers continues to move up, as do prices. A first glance at the pricing data looks the same as many before it. Buyers willing to pay higher prices, and sellers staying in advance of that demand. It's been remarkably consistent. 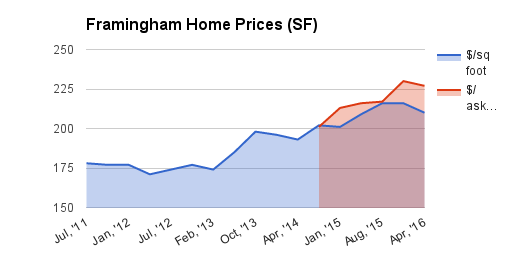 Framingham prices continue to rip, as transactions keep pushing higher. 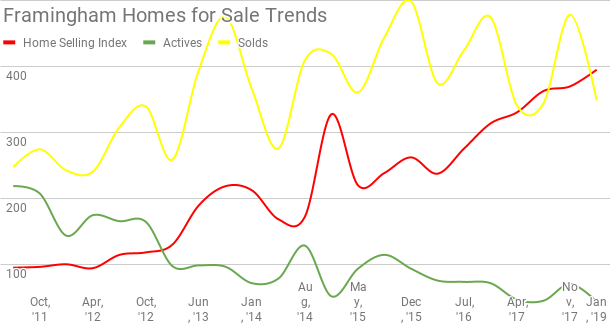 Sellers have countered by pushing prices up steadily higher. What should active home buyers do in Framingham ? Framingham checks in with a market under pressure - but buyers have resisted taking prices higher. Inventory has been just enough to let them do so. Not sure what happens in May, although there's a little more inventory coming on. Framingham had a good Q2. With over 400 sales, buyers kept the pressure on. 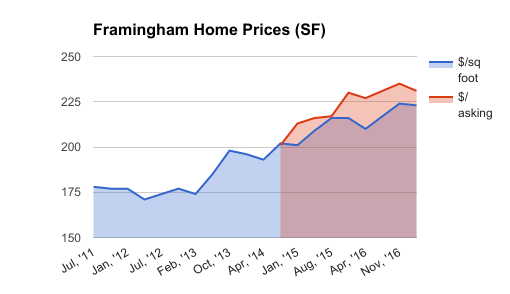 Framingham has seen extended price pressures, as a result, we have seen prices move up, and they continue up in this report.